Ten lead performances are nominated for Academy Awards each year: five male and five female. This year’s batch includes some real heavyweights; despite two of them scoring first-time nominations, the ten actors and actresses up for Lead Performance Oscars have 38 Academy Award nominations between them. After winning Best Supporting Actor three years ago for his turn in The Fighter, Bale reteamed with David O. Russell to score his second nomination for American Hustle. As Irving Rosenfeld, a con artist blackmailed into working with the FBI on a major sting operation, Bale is unrecognizable in appearance, posture, and mannerisms. It’s been 35 years since Dern’s last nomination, for 1978’s Coming Home, but as far as comeback performances go, you can’t get much more impressive than his turn in Nebraska. As Woody Grant, Dern gets in touch with a man whose naiveté and old age convince him that he’s won a million dollars from a marketing firm and lead him on a path to Nebraska to collect his winnings. 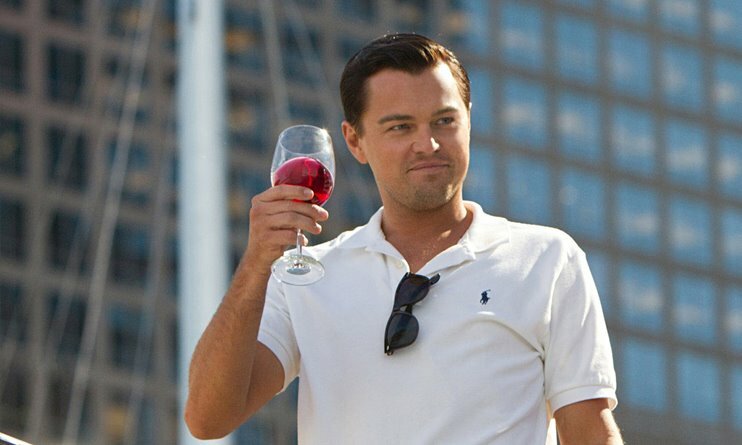 Twenty years after his first Oscar-nominated performance, in What’s Eating Gilbert Grape?, DiCaprio received his fourth for his portrayal of the excess-obsessed stockbroker Jordan Belfort. The dark horse in the Best Actor race, his fifth time teaming up with Martin Scorsese may prove to finally be his ticket to an overdue acceptance speech. One of the most evocative and moving performances of the year was Ejiofor’s in the true story of 12 Years a Slave. As Solomon Northup, a free black man who is kidnapped and sold into slavery in the 1800s, Ejiofor makes you feel every punishing cruelty and tragic injustice. You know from the title that there will ultimately be an end to Northup’s tribulations, but Ejiofor makes you forget while you’re watching. After reinventing himself three years ago and giving consistently interesting performances in The Lincoln Lawyer, Bernie, Magic Mike, and Mud, the “McConnaisance” climaxed with the best acting of McConaughey’s career-best, in his portrayal of Ron Woodruff. As haunting as his physical performance is — McConaughey loses 40 pounds during the course of the movie — the real power is in his transformation from a vulgar, drunken bigot to a noble, kind-hearted crusader. With her performance as Sydney Prosser in American Hustle, Adams scored her fifth Oscar nomination in the span of eight years. As the mistress of Christian Bale’s con man and the girlfriend of Bradley Cooper’s FBI agent, Adams bounces from side to side so effortlessly, it’s impossible to know, until the last card is played, just whose side she’s really on. As the imploding widow of a Bernie Madoff-esque tycoon (Alec Baldwin) who finds herself penniless and having to rely on the kindness of strangers, Blanchett’s Jasmine is a modern-day Blanche Dubois. The nuances in Blanchett’s performance and the pointed, dark comedy she finds in the depths of her disturbed character are the things award-winning roles of made of. As the sole person on screen for the majority of Gravity’s running time, Bullock completely carries the movie – which is all the more impressive considering the size and scope of the picture. As Dr. Ryan Stone, an engineer who finds herself alone in space with infinitesimal hope of getting back down to Earth alive, Bullock is courageous, heartbreaking, and riveting. Over the last few years, as Judi Dench has become recognized by everybody as 007’s stern boss, M, she has also steered toward gruffer roles. Stern characters like her teacher in Notes of a Scandal tended to get her Oscar noms, while lighter roles like those in Jane Eyre or The Best Exotic Marigold Hotel were ignored. With her jovial turn as Philomena Lee, Dench has at last earned a nomination for a thoroughly enjoyable performance. Already the most nominated actor in Oscar history, Streep broke her own record, scoring her 18th nomination for August: Osage County. As the matriarch of a large, Oklahoman family, her Violet Weston smokes, pops pills, fights her whole family (both verbally and physically), and struggles with cancer – all with the ferocity and dignity that comes so naturally to Streep’s performances.